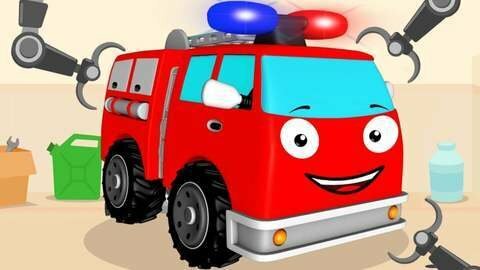 In this episode of car cartoon for kids, the auto shop gets a lot of customers as the Fire Truck, Tow Truck and Monster Truck all need to be repaired. The new Fire truck successfully puts out all the fire. Cactus thorns were removed from the Monster Truck and the Tow Truck, and they were also cleaned and polished. Visit SeeZisKids.com today to watch more entertaining cartoons.